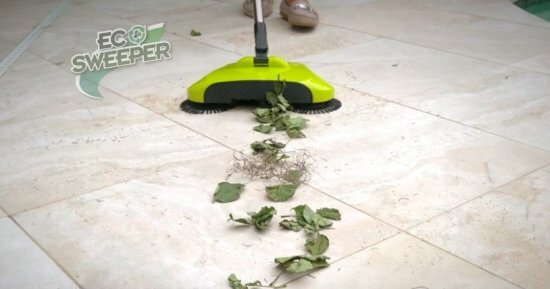 360° cordless spinning sweeper. No batteries, no bags, no cord required. Cleans wet & dry mess and hair of cats & dogs. Lightweight. Built-in dust pan. Unique horizontal, triple brush action with rotation even clean the hardest areas, and more than you can imagine. 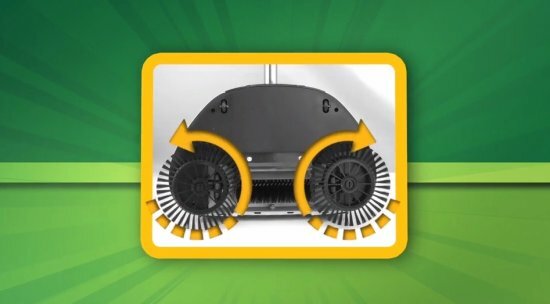 You want the Eco Sweeper, the revolutionary hard floor sweeper; it’s the fast and easy way to make dirt and debris go away! 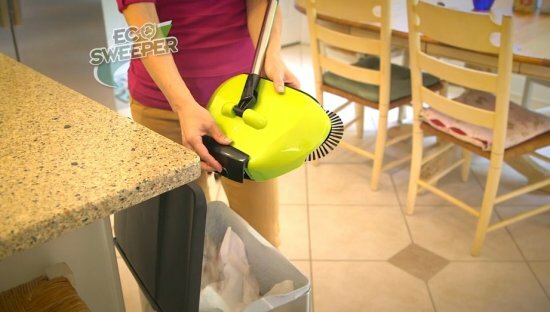 The Eco Sweeper uses rotating bristles to clean up just about any mess, large or small— wet or dry, you’ll pick it up with just one try! It works on any hard surface floors and will never scuff or scratch! It’s super lightweight at less than two pounds, no batteries or electricity is needed so its cordless and always ready to clean! And it’s whisper quiet! It makes virtually no noise at all! 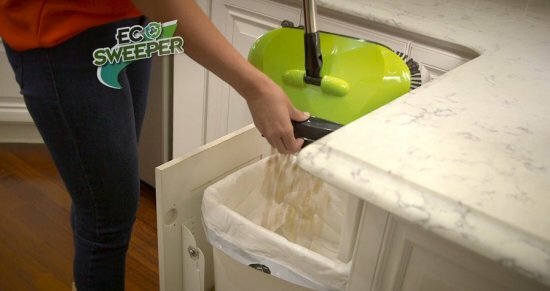 Particles are swept straight into the built -in dustpan. When it’s full, simply press one button to empty. 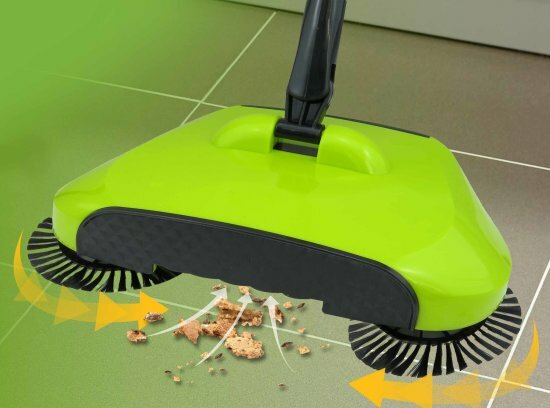 The Eco Sweeper creates maximum cleaning contact with the edges cleaning virtually everything in its path in just one pass! 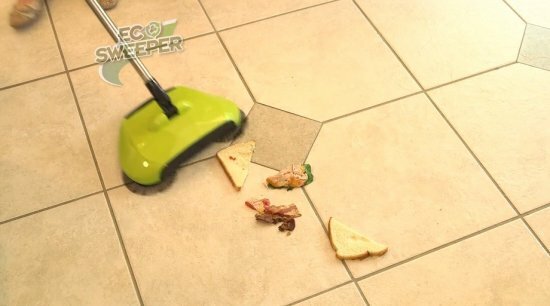 The Eco Sweeper picks up items as large as a chicken sandwich. The Swivel steering action is super easy to use—allowing you to clean forward or backwards. And the low profile means you can get under furniture and beds with ease. 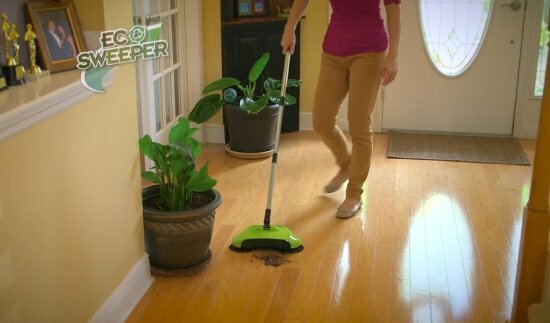 The Eco Sweeper is perfect for all of your hard floor surfaces; hardwood floors, laminate, and tile floors. It gets deep in the grout line and picks up what other products leave behind! So why lug around a huge vacuum, or break your back bending over and sweeping into a dustpan. Upgrade to the Eco Sweeper, the fast and easy way to make dirt and debris go away. 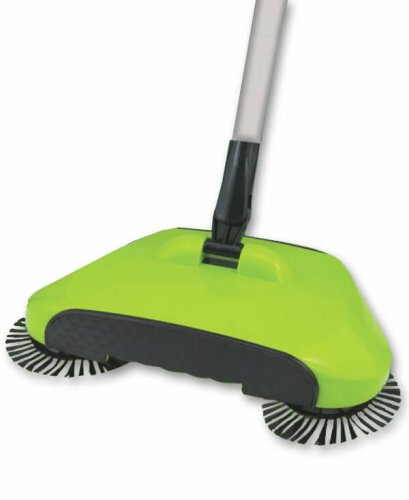 Whether it is big or small, wet or dry, the Eco Sweeper works in just one try!